Wow---spring has arrived, and lots of busyness with it! I've made it a point to read every day---but sometimes it's only three or four pages! I say, bring on the cold weather again---I get more reading in that way! I'm currently reading Dickens', Great Expectations and totally loving it---which is a good thing because the two I read before that were t.e.r.r.i.b.l.e. Like, if I wasn't so concerned with keeping posts up on this blog, I'd not even take the time to review them. In fact, you're not even getting a review on these---you're getting a random mess of thoughts...and then a big fat THE END. 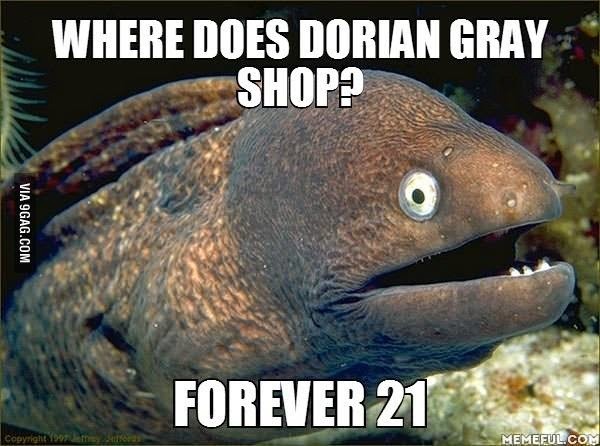 I'll never be able to express to you the depths of loathing I feel for The Picture of Dorian Gray. It reminds me of Victorian London---you know, that one time when they pretty much dumped every kind of imaginable offalous waste into the Thames and no one knew the danger until it was too late...people got sick...people died...it wasn't good. Yeah, I'm thinking Oscar Wilde found him a shady spot down by the Thames one day and became inspired by the putridity and just went to town on this one. Book Description: "In this celebrated work, his only novel, Wilde forged a devastating portrait of the effects of evil and debauchery on a young aesthete in late-19th-century England. Combining elements of the Gothic horror novel and decadent French fiction, the book centers on a striking premise: As Dorian Gray sinks into a life of crime and gross sensuality, his body retains perfect youth and vigor while his recently painted portrait grows day by day into a hideous record of evil, which he must keep hidden from the world. For over a century, this mesmerizing tale of horror and suspense has enjoyed wide popularity. It ranks as one of Wilde's most important creations and among the classic achievements of its kind." 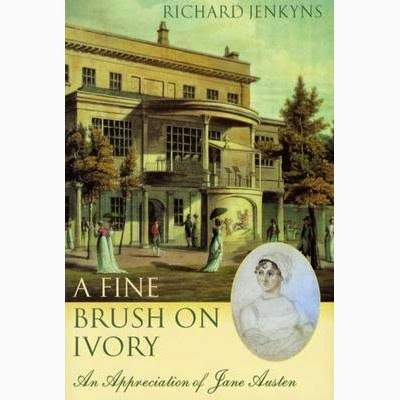 Another book I read recently was A Fine Brush on Ivory: An Appreciation of Jane Austen by Richard Jenkyns. It wasn't so much that I didn't enjoy it---just that there wasn't a lot of new information here. However, there was a new way of presenting some of the already-known info, so that was refreshing. I really like the comparison he makes between the Psalms and the opening pages of Pride and Prejudice. He talked about Austen's lyrical style being derived from her life as the daughter of a man of the church. That was interesting and something I'd not considered before. I do think his comparing her to Monty Python might have been a bit much, and he does overuse the term, priggish. I really didn't like his position on Mr. Bennet's supposed lack of love for his wife. Makes me wonder if this guy has been married, because he's obviously ignorant of the fun banter between long-married friends. I liked the study of the two movie Darcys on page 88, but I think this author is extremely hung up on the concept of sexual frustration. All in all, I'd say don't even attempt this one unless you're familiar with each of Austen's stories and their characters. For the Austenite who thinks she's read it all, this one is something new. Book Description: "Jane Austen's work was a true triumph of the comic spirit--of deep comedy, rising from the heart of human life. In A Fine Brush on Ivory, Richard Jenkyns takes us on an amiable tour of Austen's fictional world, opening a window on some of the great works of world literature.Focusing largely on Pride and Prejudice, Mansfield Park, and Emma, but with many diverting side trips to Austen's other novels, Jenkyns shines a loving light on the exquisite craftsmanship and profound moral imagination that informs her writing. Readers will find, for instance, a wonderful discussion of characterization in Austen. Jenkyns's insight into figures such as Mr. Bennett or Mrs. Norris is brilliant--particularly his portrait of the amusing, clever, always ironic Mr. Bennett, whose humor (Jenkyns shows) arises out of a deeply unhappy and disappointing marriage. The author pays due homage to Austen's unmatched skill with complex plotting--the beauty with which the primary plot and the various subplots are woven together--highlighting the infinite care she took to make each plot detail as natural and as plausible as possible. Perhaps most important, Jenkyns illuminates the heart of Austen's moral imagination: she is constantly aware, throughout her works, of the nearness of evil to the comfortable social surface. She knows that the socially acceptable sins may be truly cruel and vicious, knows that society can be red in tooth and claw, and yet she allows the pleasures of comedy and celebration to subordinate them. Insightful and highly entertaining, A Fine Brush on Ivory captures the spirit and originality of Jane Austen's work. It will be a cherished keepsake or gift for her many fans." 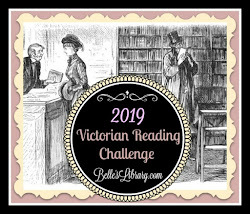 The Picture of Dorian Gray fulfills the following challenges: Full House challenge for "Been on Your TBR Forever," and the New To You challenge for New Author. A Fine Brush on Ivory fulfills the following challenges: Full House challenge for "You Heard About the Book Online," TBR challenge book #7, and the New To You challenge for New Author. Visit my Reading Challenges post for more info on the challenges I'm doing this year. I started The Picture of Dorian Gray a few years ago, and couldn't get into it. I think I even released it (Bookcrossing) and I didn't intend to try again. Interesting, the comparison of Jane Austen and Monty Python... I'm not sure I quite see that. Humor, yes. But somehow I don't see Jane as part of the Ministry of Silly Walks or singing "Always Look on the Bright Side of Life." 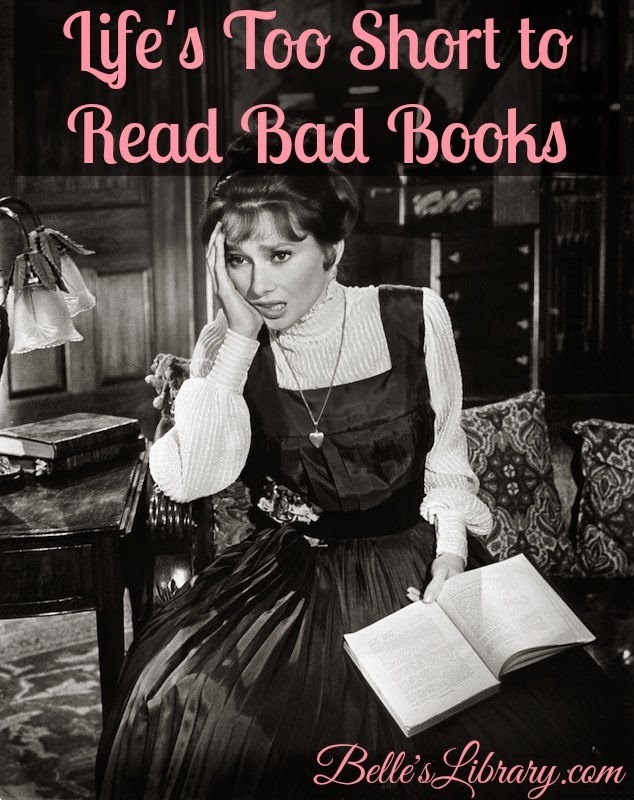 Like you, I've been trying to read more -- love the Hepburn pic and quote. Also going to take a look at your other blog! I admire your keeping up two blogs. My poor book blog seems to get short shrift compared to Marmelade Gypsy. Reading more -- writing about it less! Thanks so much for stopping by The Marmelade Gypsy on Pink Saturday. It's fun to discover a new blogger!